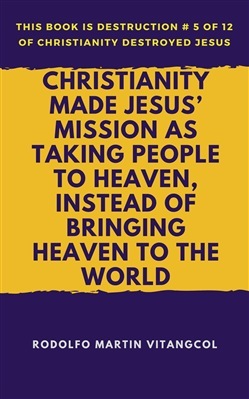 Jesus, the Son of God, came primarily for one Mission. 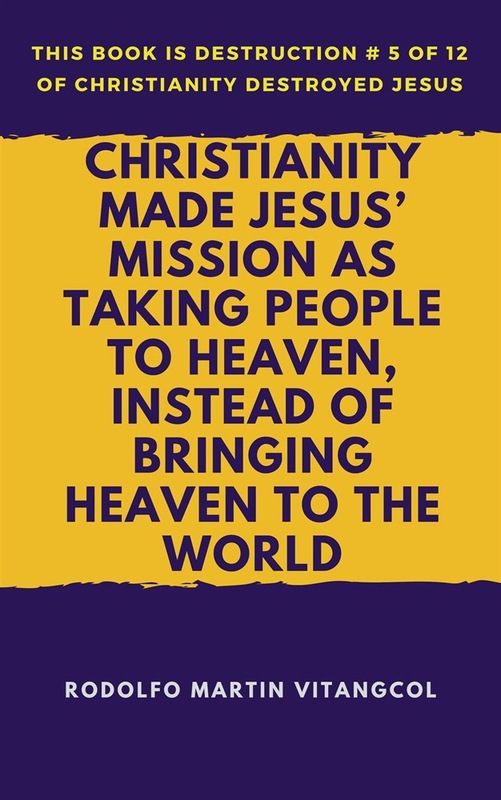 His mission is “to do the will of God.” The will of God is not for Jesus to take the people of the world to the kingdom of heaven, more than to bring the kingdom of heaven to the people of the world. It is a kind of world where “not a single soul ought to be found wanting in the enjoyment of the basic needs and rights to live with full human dignity as a child of God,” for such is the righteousness and justice of God. And in order for the kingdom of God to happen in our world, Jesus gave the world a command: “Love one another as I have loved you.” It is a kind of love where “he who needs help, must be helped, and he who can help, must help”—like one brother and sister in God. Whoever shall follow Jesus in this “Mission of Life” of his shall be rewarded with fullness of life. Amen. Acquista Christianity Made Jesus’ Mission As Taking People to Heaven, Instead of Bringing Heaven to the World in Epub: dopo aver letto l’ebook Christianity Made Jesus’ Mission As Taking People to Heaven, Instead of Bringing Heaven to the World di Rodolfo Martin Vitangcol ti invitiamo a lasciarci una Recensione qui sotto: sarà utile agli utenti che non abbiano ancora letto questo libro e che vogliano avere delle opinioni altrui. L’opinione su di un libro è molto soggettiva e per questo leggere eventuali recensioni negative non ci dovrà frenare dall’acquisto, anzi dovrà spingerci ad acquistare il libro in fretta per poter dire la nostra ed eventualmente smentire quanto commentato da altri, contribuendo ad arricchire più possibile i commenti e dare sempre più spunti di confronto al pubblico online.